Lazada is back with another sale, and another blogger contest! If you've missed the last sale earlier this September, don't worry! Lazada Shopathon Sale will take place again in September 27 2018. Save this link here and grab your stuff when that paycheck arrives! I used to actually work in a Clark store before during my free time as a part timer and had never regret the experience. I'll admit that I used to splurge more on skincare than my fashion items, but ever since I've tried Clarks' shoes, I never want to go back to normal shoes. The prices are so worth it given the benefits and technologies being put in the effort of making a design. Clarks' shoes are not just ordinary shoes, they are super comfortable and lasts very long too! I've had mine for years now. 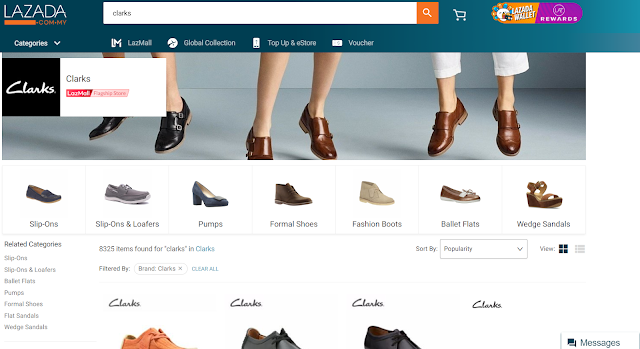 The thing with Clarks shoes is that the longer you wear it, the more comfier it will be. This is due to the material that is made from leather. So yeah! I was over the moon when I know Lazada brought in Clarks official store to their website. It is a lot easier for me to shop for them now since I already know my size. Sometimes, it is even cheaper than buying in stores too due to promo codes and promotions. Thank you Lazada! 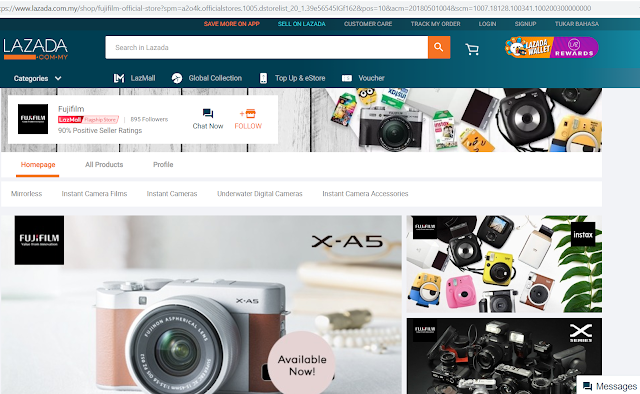 Yes you can even get a camera from Lazada. Amazing right? I get how it might be nerve wrecking to spend hundreds or thousands from an online shop on gadgets like these, but since this is an official store, you really don't need to worry about anything. Everything works just the same as in stores, if not easier. I have an instax camera, so it is very convenient for me to get the films here. Certain products even come with free shipping, so that is a steal! Innisfree is definitely on my top list when it comes to skincare. 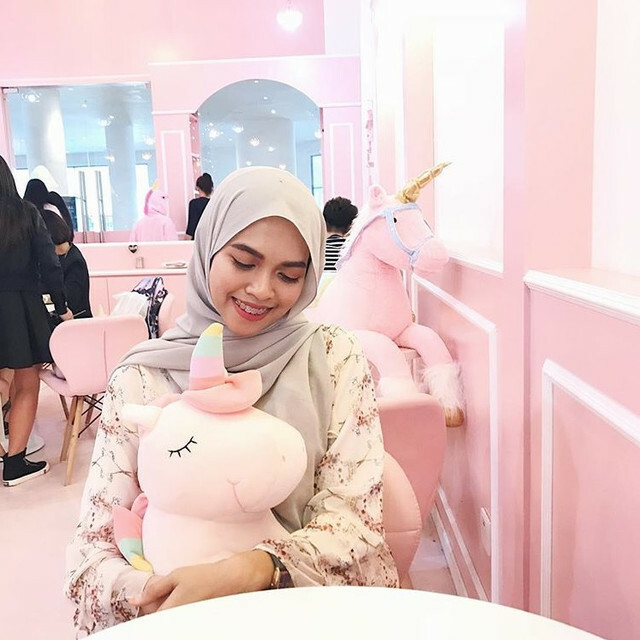 Their products are so gentle, and affordable. However there is not much physical stores available especially where I am studying at, in Sarawak. 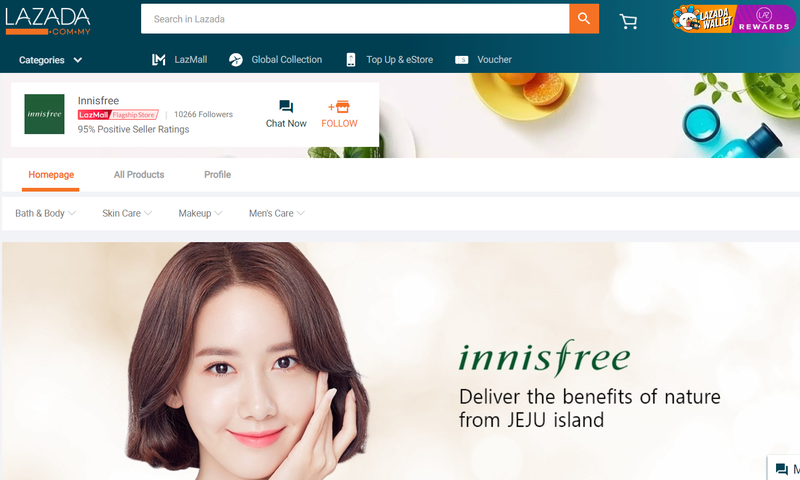 So having Innisfree's official store in Lazada website helps a lot! I sometimes purchase my products here when they're having deals because you can really save a lot. There is not one product from Innisfree that I've tried and being disappointed. They really care about the quality of their products.